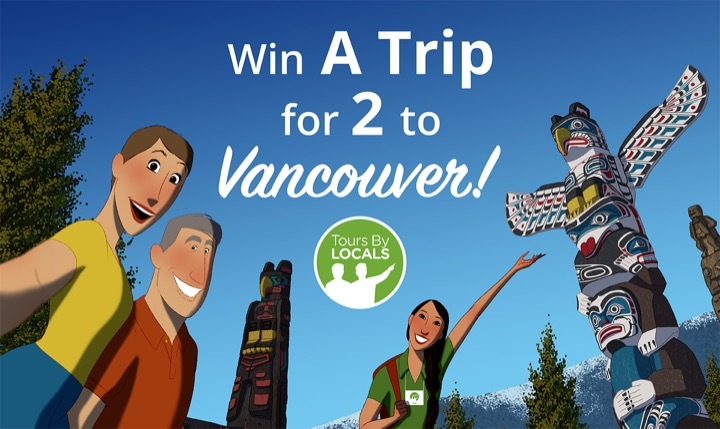 ToursByLocals Blog - Ten Year Anniversary Contest! We're turning a decade! That's right...On October 25th, ToursByLocals is celebrating 10 years of being in business with the world's most incredible guides and travellers. When we first launched our website, back in 2008, it was hard to imagine the company as it's become: nearly 100 staff in 4 offices, over 2700 guides spanning 153 countries - and just shy of one million travellers served! To celebrate, we've done something bold: we've put our name up in lights in Times Square. Manhattan! Yep, ToursByLocals is on a billboard in one of the loudest, brightest, busiest intersections in the world. And we want you to spot us! We're running a contest from now until November 1st. Spot our ad on the Times Square billboard, take a photo of it, and post it to our Facebook page along with the caption "#ToursByLocals10years". If you make it a selfie, you earn double entry! The prize...? Times Square is an incredibly busy and distracting place, which is what makes this contest a real challenge! Our video ad is playing on a billboard at the northeast corner of Broadway and 43rd, right by the NASDAQ building. It plays every 10-12 minutes, so you'll need to watch carefully! Once it starts you have 15 seconds to get your photo. Here's a short video of the billboard in action, to help you out. Good luck to everyone - we're looking forward to seeing your photos on our Facebook page, and meeting the winners! *We will call the winner to discuss dates to redeem the prize. Some minor date restrictions may apply.